Colosseo’s latest generation of Video Goal Judge (VGJ) is an indispensable tool during professional hockey games. 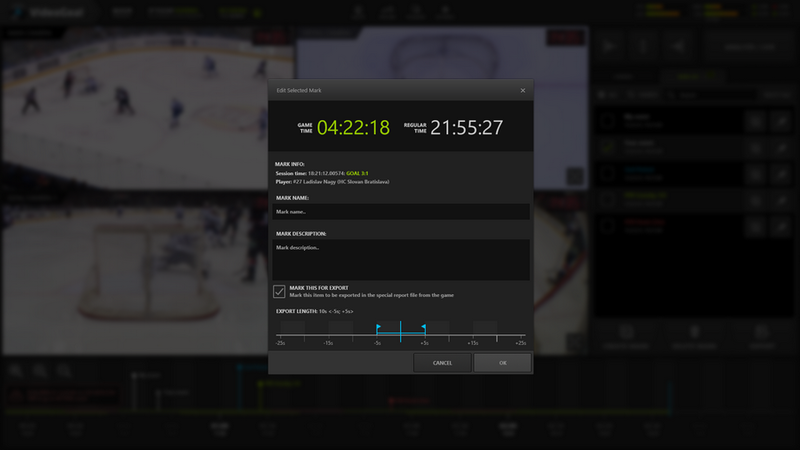 It incorporates a minimum of 4 to 12 HD camera feeds from cameras located in the goal, over the goal, and on either side of the goal as well as regular play cameras that are also available to a referee via on-ice LED screen and controller, so when there is a question of whether a goal was scored or not, there is a multitude of camera angles at ice level to assist the referee in making the correct call. The operator can easily analyse controversial situations by using frame-by-frame deep HD video analysis supported by digital zoom with picture enhancement technology, synchronously on all selected cameras with ability to dynamically jog backwards or forwards while zoomed. Additionally, all connected Multiview displays that preview and analyse video can be tailored with custom-defined layouts and camera feeds which can be switched to the desired action location with the press of one button. Interactive Timeline, a newly added feature visually representing game time, supports intelligent and automated timestamp creation based on information from timekeeping (e.g. goal, foul, end of period, etc.) or can be created manually with the option to name, time-border and describe the moment together with additional meta-information from the Timer Console. The operator can easily switch between those moments on the timeline, analyse them or even export them in required quality with up to DNxHD quality from all camera feeds. All analysed moments from previous games are also stored on the data storage. 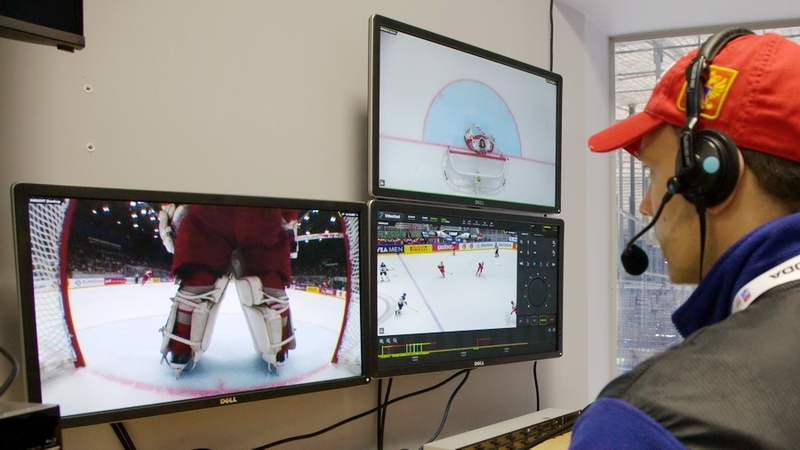 Colosseo VGJ fulfils IIHF video referee requirements and was already in use during important events like the 2016 IIHF World Championships in Ice Hockey in Russia and the 2014 Winter Olympic Games in Sochi with great satisfaction and positive feedback from IIHF referees. Colosseo VGJ is also widely used in the KHL and other major European leagues.